The downtown districts in Chilton County remain an ideal place to find products and services offered by locally-owned establishments. A number of boutiques, restaurants and hair salons make downtown Clanton a great place to be. Both Jemison and Clanton boast family businesses that have been in operation for generations. Joining these pillars of the downtown districts are new restaurants that have opened in recent years giving residents more options than ever before. Clanton cuisine boasts everything from Chinese to Italian to barbecue, while Jemison offers a sports grill and Mexican-inspired fare. Maplesville’s restaurants feature barbeque and Mexican food. Maplesville also offers locally-owned boutiques, hairs salons and a grocery store. Thorsby has opportunities to support small business owners through its restaurants and gifts shop/pharmacy as well. Each stop along Interstate 65 also offers delicious options, some highlighting local fare such as peaches and pecans. Restaurant offerings range from country cooking to Mediterranean street food. Local boutiques have been expanding in the past year moving into larger pre-existing locations in downtown Clanton. 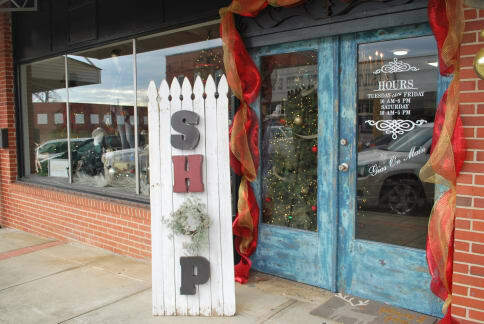 Jewelry and antique stores in downtown Clanton give unique options for finding the right gift for someone special in one’s life. Major activity can be found along Highway 31 as it runs through the heart of both of Chilton County’s largest cities.